Sound Off! 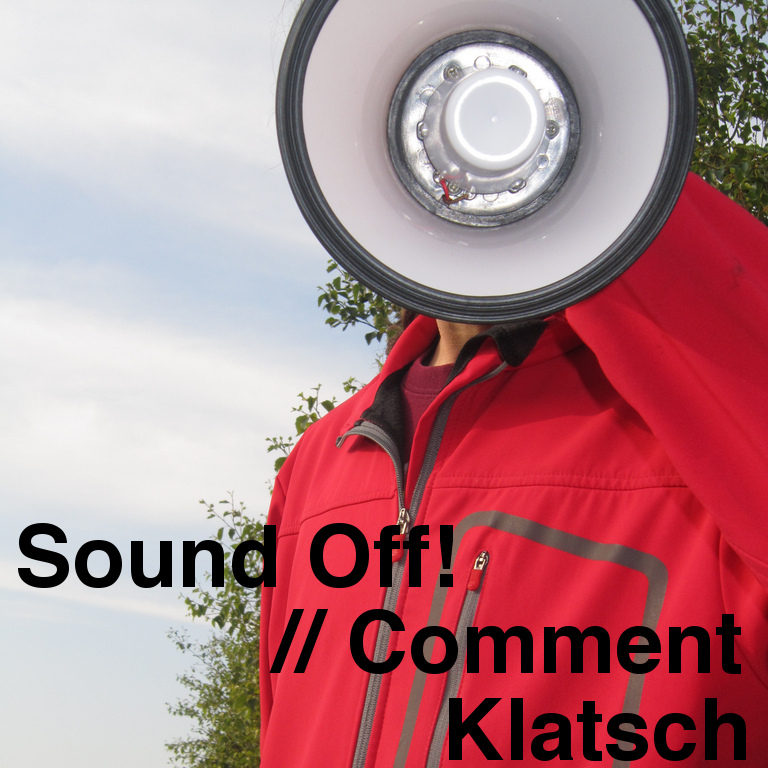 // Comment Klatsch #11: The Sounds of Family | Sounding Out! Dear Readers: Today’s Sound Off!//Comment Klatsch question comes to you from Osvaldo Oyola, Binghamton PhD Candidate in English and former SO! regular, who just couldn’t stay away too long. This November, as always, we are thankful for our fabulous writers and readers. What sounds constitute “family” and/or how does sound shape one’s view of what family can be in its diverse conceptions? This is going to sound odd, but the sound of an air popper for pop corn. My mom was recently out for a visit and bought me one, and when I fired it up after she left, some really visceral memories came back of being a kid on Friday nights and waiting for what seemed like the *LONGEST* time for her to pop the pop corn (I was actually shocked at how fast it popped now, as an adult, talk about time distortion!) and, once it was done spilling into the tangerine orange glass bowl, my sister, and I would then go and watch a movie or a TV show with my folks. Back when there was one main TV in the house and we all had to watch what my Dad wanted to watch (the popcorn popper sound also brought up some thoughts and feelings about the gendered division of labor and power in my family of origin). We weren’t necessarily a family who was always doing family things–but that is one thing we often did together–and it seemed unimportant or “normal” at the time. Yet, this sound was tucked away in my memory, waiting for its echo to remind me of this time and its passage. I wonder if anyone has (probably someone has) studied particularities of sound and cadence within a family. 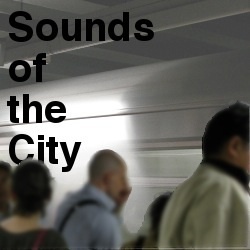 While I am sure hyper-local dialects of particular languages have been studied, I am not talking about use of particular phrases or slang, but rather the way people sharing a space and a shared history are identifiable by how they sound – voicing particular letters and syllables, emphasizing accents in particular ways. This is going to seem like a ridiculous comparison, but I keep thinking of those documentaries about juggalos and the particular way they have of saying fam-uh-LEE, with a short hard emphasis on the last syllable. I agree that there must be something somewhere about speech cadence and family. . .and I’d love to read it. Lately I have realized that I have been especially enjoying talking to my Grandmother not only because she is her awesome self, but that her voice really sounds like my father’s (who passed in 2011). It is like I can still engage with him–or at least hear him echoed in her voice–materially, not just in her memories of him. and now as I write this, I wonder if she feels the same way about my voice, too. I love this subject, with sound being so tied to memory, and growing up with two rowdy brothers, an opinionated father that loved to yell at the news on television and/or football (hard to distinguish, the passion was equal), and a writer mother who was in love with words and always came up with sing songy nicknames, sayings, and ditties. Now at 15 weeks pregnant, I’m thinking about how the little ears are starting to hear already in my little one, and the sound of family life and domestic sound scape has been on my mind this week, so this was wonderful timing for me personally as well! I’m excited to hear what others have to say, thank you for bringing this up! I was inspired to ask this question by the upcoming holiday season when it is not uncommon (for better or worse) to gather with family and I started to think about the aural qualities of those gatherings. For me, music has been an indicator when it is time to re-affirm family bonds. Growing up, basically from Thanksgiving Day until El Dia De Los Reyes (in January) our home was full of joyous music – mostly salsa-fied holiday music, and when I go back to visit my mom nowadays and hear that music blaring through the door before it is even open I am overcome with the memories of past gatherings and anticipation for holiday feasting. So I guess, the sound is the a trigger for nostalgia. However, more recently the sound of activity without much discussion has been more of a marker for my own family, as we’ve gotten to be a smaller group with less in common and thus less to talk about. My uncle putting the rocking chair through its paces in the living room while a sports game or the new is on, my mother clattering around in the kitchen, the sound of my sister’s music through headphones. 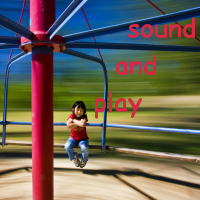 Basically, the sounds we make separately but in a shared space. I have more (less personal) thoughts about sound and family, but I will wait for others to participate before adding more. . . While I know nothing about your family beyond what you say, I wonder how much the soundscape has changed due to the possibility of everyone having their own soundtrack available to them at all times and how much has changed due to new family dynamics. 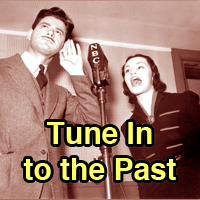 It’s a chicken or egg kind of question but it does seem to me that people are less likely now to listen to music in common when in a private setting given that new technologies not only enable but create ever increasing desires for individuals to customize their aural environment.